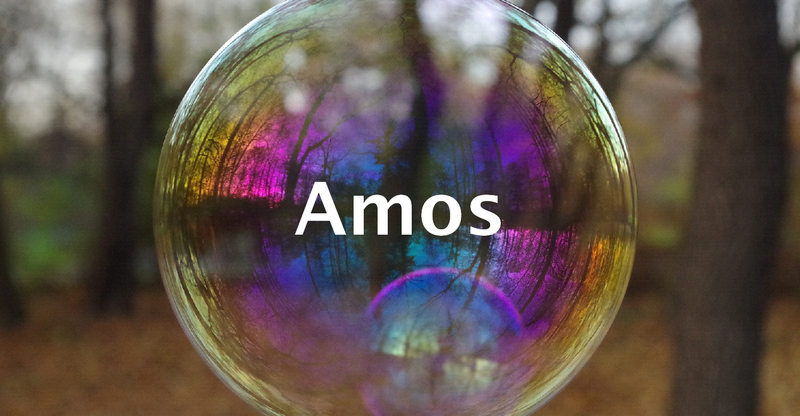 Amos is a book of burning anger. God’s anger. It’s anger directed at powerful people who provoke war and hatred among nations. It’s anger at those who think of themselves as on God’s side but then act in ways that fly in the face of all of his ways. It’s an uncomfortable read. But we who follow Jesus need to be discomforted from time to time. Religion can be dangerous when it leads you to think that you’re always right. It’s particularly dangerous when it insulates you against recognising that you’ve been shaped more by your culture than you have by Jesus. After all, it’s Jesus’ warning that not everyone who says ‘Lord, Lord’ will be received, it’s only those who shape their lives in the way of Jesus. You can’t use religion as a lucky ticket and still act in ways that refuse to care for the poor, hold to promises, do right with our financial dealings. Amos is not comfortable reading. But he, along with the prophets, are the voices we need to hear regularly to keep us on track. More people are exploited and abused in the cause of religion than in any other way. Religion is the most dangerous energy source known to humankind. The history of religion-fuelled hate, killing and oppression is staggering. The biblical prophets are in the frontline of those doing something about it. The biblical prophets continue to be the most powerful and effective voices ever heard on this earth for keeping religion honest, humble, and compassionate. Prophets see through hypocrisy, especially hypocrisy that assumes a religious pose. A spiritual life that doesn’t give a large place to the prophet-articulated justice will end up making us worse instead of better, separating us from God’s ways instead of drawing us into them. Our prayer is that as we read and reflect on Amos’ message, our lives are shaped in the ways of Jesus more and more.